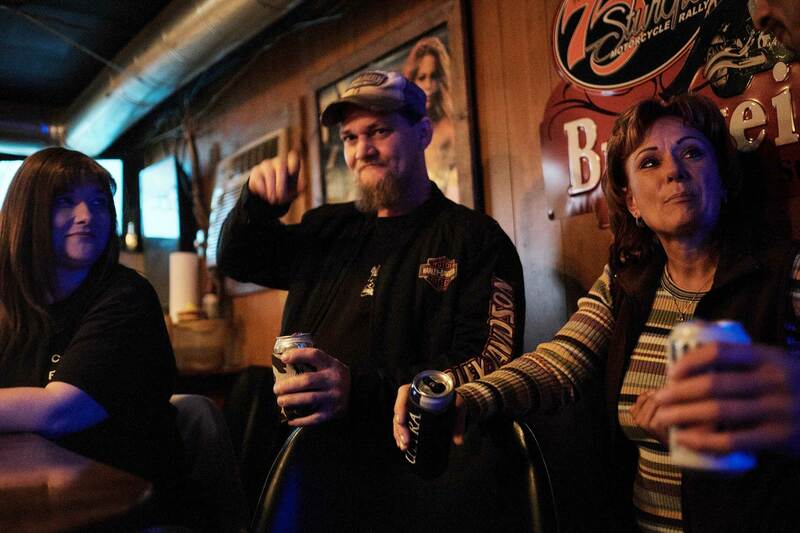 "We're not KKK members," says Diana, at right, drinking at The Waterhole with Billie, left, and Steven. "Slavery was eons ago. We're past that," says Steven, "I didn't own slaves. The people I know, my friends, they didn't own slaves. We're just living our lives." The flag, he adds, "isn't just my heritage—it's the blacks, whites, everybody."